This centrally located 2 bedroom plus loft, 2 bathroom condo is right on the shuttle route for Summer or Winter! The living area features a large sectional sofa, cozy wood-burning fireplace, 50" flat screen TV, and an open floor plan. The full kitchen is equipped with all the comforts of home and the dining area is perfect for entertaining. The master bedroom has a King bed and 32" flat screen TV. The second bedroom has a Queen bed also with 32" flat screen TV. The loft is perfect for the kids or single adults and features two sets of bunk beds, one set with two Twin beds, and the other set with a Twin on the Top and Double on the bottom. The loft even has a couch and 32" flat screen TV for additional living space and lounging. 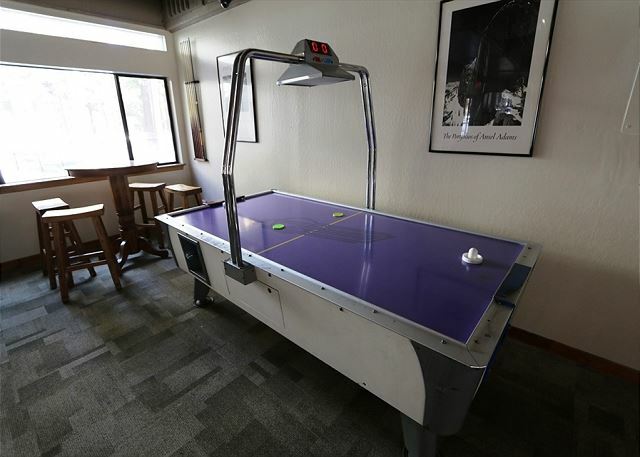 The St. Moritz complex offers an outdoor pool and spa, with a clubhouse complete with ping pong table, pool table and air hockey table. 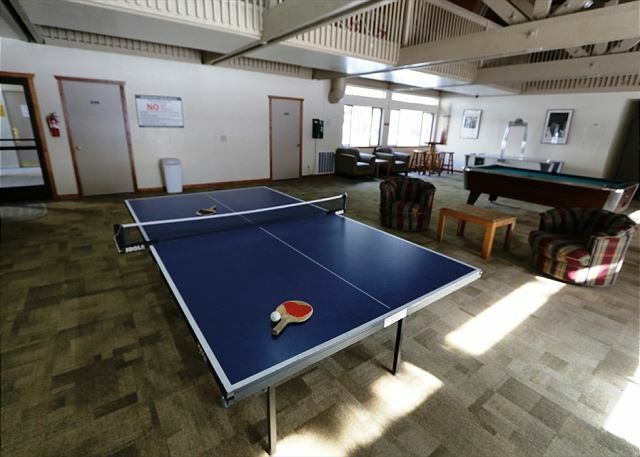 For Summer use, there are even public gas grills throughout the complex with picnic tables for lounging and eating. A perfect Summer or Winter retreat! 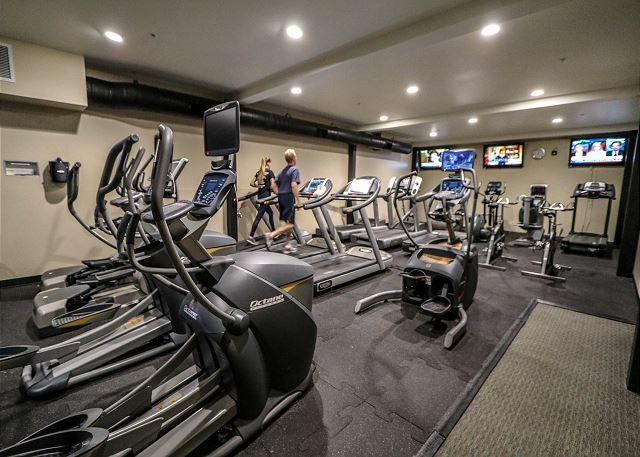 All Mammoth Sierra guests receive complimentary full access to Snowcreek Athletic Club to enjoy facilities including indoor heated pool, steam/sauna, full fitness facility, yoga, pilates and cycle studio and more. The condo was clean and very spacious. The location is awesome, it's about a 1 minute walk to the shuttle stop. Everyone enjoyed there stay and had a great time. We have a great time for our annual trip to Mammouth Lakes for fishing. The weather was great and were very satisfied and enjoyed our stay! with an overall rating of 5 very satisflied. Hi Henry, thank you so much for your wonderful review. We’re glad to hear you enjoyed your stay at St. Moritz! Please remember to take advantage of our 10% return guest discount (RETURN10) when you book your next trip with us. Hope to see you in Mammoth again soon! -The Mammoth Sierra Team. This condo for perfect for a family of 9. they supply you with all kinds of cooking and eating utensils. a lot of sleeping space. super close to the pool, parking, and game room. Hi Kimberly, thank you so much for your wonderful review. We’re glad to hear you enjoyed your stay at St. Moritz! Please remember to take advantage of our 10% return guest discount (RETURN10) when you book your next trip with us. 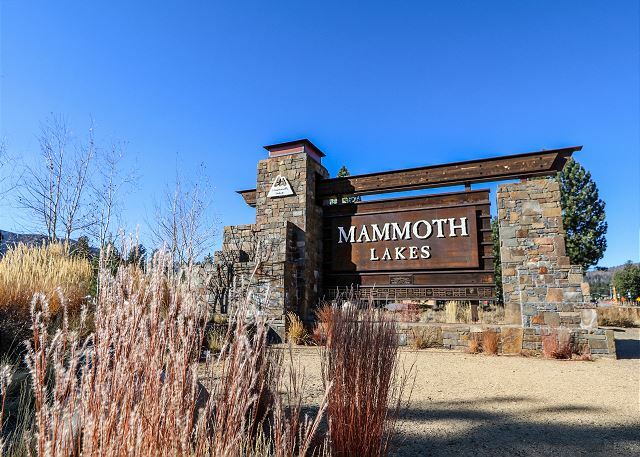 Hope to see you in Mammoth again soon! -The Mammoth Sierra Team. Hi Tania, thank you so much for your wonderful review. We’re glad to hear you enjoyed your stay at St. Moritz! Please remember to take advantage of our 10% return guest discount (RETURN10) when you book your next trip with us. Hope to see you in Mammoth again soon! -The Mammoth Sierra Team. Great place for a family vacation stay! Our family really enjoyed our stay at this condo. The loft area in particular was a hit for my son and his 3 nephews over the Memorial day weekend. They stayed up late chatting and bonding. Isn't that what a good family getway should be about! Thank you so much for your great review. We’re glad to hear you enjoyed your stay at our property. Please remember to take advantage of our 10% return guest discount when you book your next trip with us. 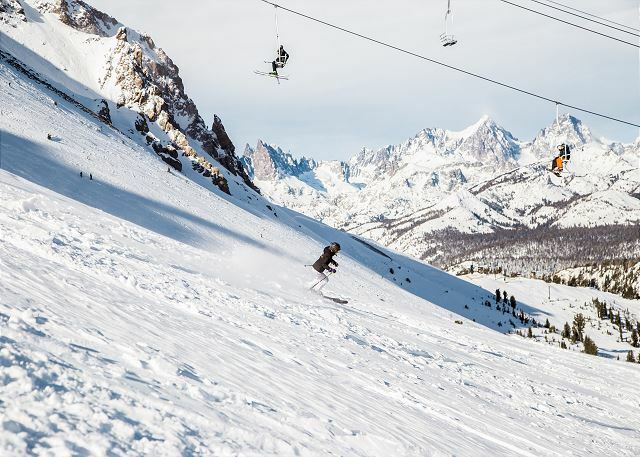 Hope to see you in Mammoth again soon! Thanks, The Mammoth Sierra Team. Perfect stay for a group! Our stay here was awesome- could not have asked for a better experience. 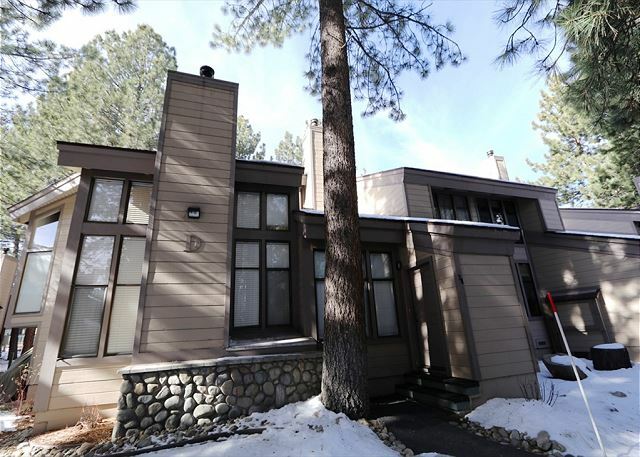 Checking in was easy, the house was extremely conveniently located (right next to bus stop, less than 5 min to mountain, a few minutes to the Village, one minute to grocery store!). 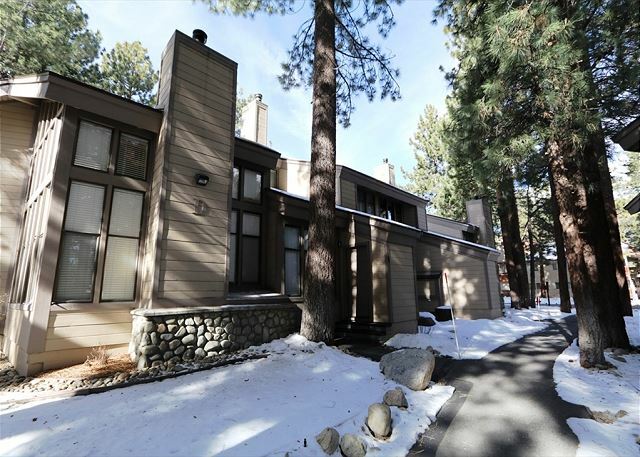 The house is also right next to plenty of parking, so you arent lugging your stuff far into the complex. House was clean and super well set up for our group of 9. Everyone had a comfortable bed, and communal area was great. Jacuzzi was awesome. Also had a perfect little enclosed storage area outside the front door for skis and boots. Could not have had a better setup for our stay, especially with a group of this size. Thanks again! This was our first time renting this unit, and it was flawless. It's location is all time. Walk out the door, onto the street and the bus stop to Eagle Lodge is right there. Very comfortable beds, and living areas, everyone in our group was happy. 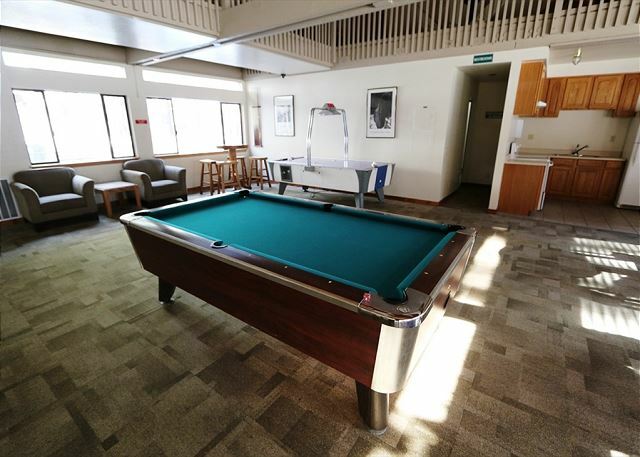 The complex has awesome common areas with Jacuzzi (uncrowded), Pool table, Table Tennis, and Air Hockey. Will definitely look for this unit when booking in the future. Everything was very clean and comfortable. We had 6 people in our group and there was more than enough room and accommodations. 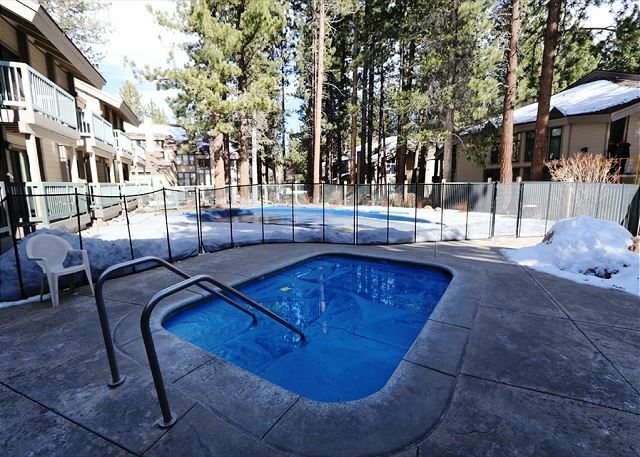 Conveniently located close to the store, movie theatre and many area amenities. Bus pick-up for Eagle slopes is right outside of the complex.